Beautiful time-lapse of the aurora borealis shot in Tromso, Norway. Silent Storms is my fourth consecutive aurora/astro film. In a way Silent Storms shows how the night skies can be during the three seasons we have darkness here in northern arctic Scandinavia; autumn, winter and spring. It was filmed in Norway, Finland and Sweden, primarily around the Tromsø area, Norway. 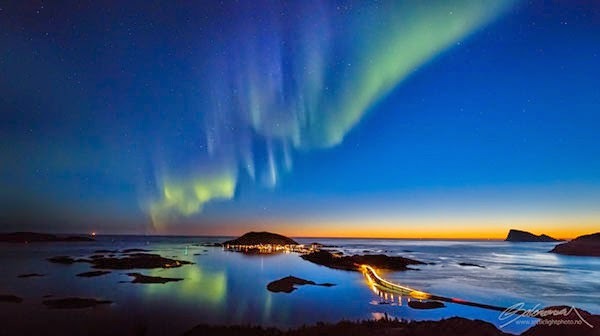 The "storms" referred to, are the geomagnetic storms which takes place in the atmosphere when a strong solar wind hits earth, often followed by a CME. When a geomagnetic storms takes place, it can last for days, with several substorms causing auroras to appear. Although there has been reports of audible auroras, this has yet to be proven scientifically.